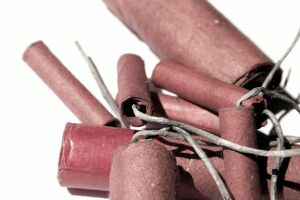 With the Fourth of July holiday, there are increased risks for work-related accidents in Boston and elsewhere, especially if you handle fireworks for public events or work in the fireworks and pyrotechnics industry. For this reason, the Occupational Safety and Health Administration (OSHA) reminds all employers to take the proper safety precautions to make sure that all workers are provided with the resources they need to avoid a potentially fatal accident. “As we look forward to celebrating July 4 with fireworks and festivities, we must also consider the safety of workers who handle pyrotechnics,” said Assistant Secretary of Labor for OSH, Dr. David Michaels. Our Boston workers’ compensation lawyers understand that individuals in this industry will be busy putting on fireworks shows for residents and visitors across the state. Workers who display, make, sell and handle these dangerous materials need to be safe and cautious before, during and after every event. One wrong move could produce catastrophic results. 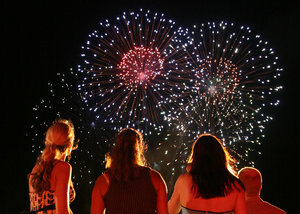 To help get everyone started, officials with OSHA are sharing their Firework Safety web page with those who work with fireworks displays and retail sales of fireworks. On this web page, you can find a plethora of information regarding the dangers, hazards and risks that are prominent through all aspects of the industry. To help to better educate employers and employees, the web page offers free downloadable posters as well as a video that shows the proper ways to handle fireworks and other details of retail sales and manufacturers. This information is based on the National Fire Protection Association’s consensus standards. In 2011, there were nearly 10,000 fireworks-related injuries suffered throughout the United States. Of these injuries, about 70 percent of them were sustained during the 30 days surrounding the Fourth of July. Both employers and employees are urged to check and double check their work before the big bang! You may remember the fireworks accident from back in 1997 in which 3 employees were killed. It happened when one of the workers used a hand-held road flare to ignite the fuse of the one of the mortars. When he lit the mortar, it only got about 10 feet in the air before it started to come back down. As it did, he yelled “fire in the hole,” as the shell hit the deck of the barge, landing between the “ready box” that contained additional shells. The shell exploded upon impact with the steel floor. The explosion and the flames killed three of the employees and injured another. If you’re working around fireworks or you’re going to be around them this Fourth of July, you’re urged to take the proper safety precautions to avoid a potentially fatal accident. Employers are to make sure that workers are provided with all of the necessary safety equipment to complete the job. Enjoy the holiday and make it a safe one. Happy Fourth of July! The Boston workers’ compensation attorneys here at the Law Offices of Jeffrey S. Glassman, LLC offer aggressive defense for employees who have been injured or killed in a work-related accident in Boston and in the surrounding areas. Call us today to schedule a free and confidential appointment to discuss your rights. Call 1-877-617-5333.